Judging the Miss America Competition can’t be an easy job. How exactly does one choose which cover of a song is performed better? Who rocks their evening gown more? All I’m saying is, I wouldn’t want to be up on that panel, asking those questions and deciding which hopeful contestant reigns supreme. However, that's exactly what Cole Swindell must do at the Miss America 2017 competition on Sunday night. 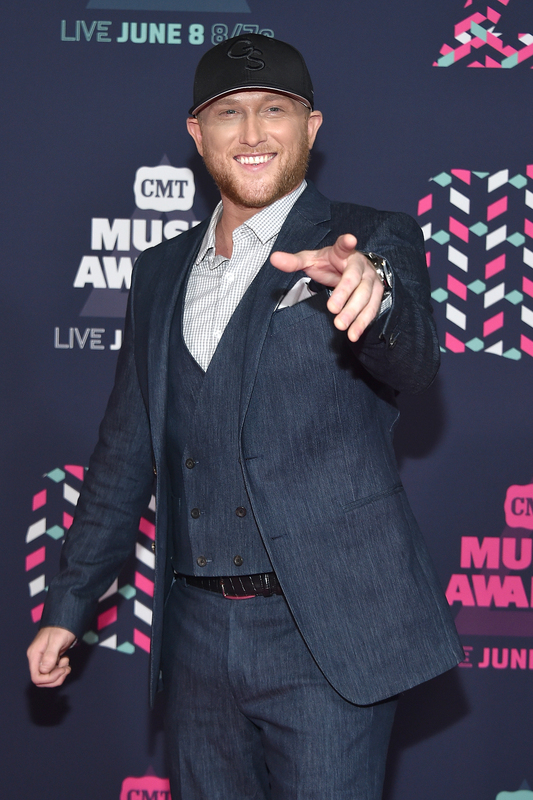 If you're not familiar with the name, according to CMT, Swindell climbed his way to the top, starting his time in Nashville as a songwriter with a great publishing deal before morphing into one of country’s biggest rising stars. He came a long way from selling merchandise for Luke Bryan, huh? His 2014 debut single, “Chillin It,” was a huge hit, and Swindell has been churning out the big country tunes ever since. Rolling Stone wrote of his last album, You Should Be Here , “ [It] looks strong right out of the gate thanks to its deeply personal title track, all about the unexpected loss of Swindell’s father… the country star's hot streak will continue for quite some time.” That’s a pretty glowing endorsement. Swindell will be judging the Miss America Competition along with Mark Cuban, Sara Foster, and former Miss America Sharlene Wells Hawkes, and he told Taste Of Country that he was just a wee bit nervous about his role in the competition. He asked friend and fellow country singer Brett Eldredge, who judged last year, what to expect and Swindell said that his advice was to practice his poker face for when the 52 beautiful women take the stage. Since this is such an important night for the contestants, I hope that Swindell is able to take that advice and take his role seriously, no matter what the women look like. Swindell was also nervous about potentially ruining someone's chances of winning the competition. “What if they make me ask some ridiculously hard question, you know? That would be awful,” he said to Taste Of Country. “I don’t want these girls mad at me.” We'll have to wait until Sunday night to see if Swindell gets an easier question to ask the finalists like he wants. Hopefully, Swindell can stick to the task at hand and judge the pageant impartially. This is a big night for 52 contestants who have worked to get to the Miss America stage, and now their fate is up to Swindell and his fellow judges.